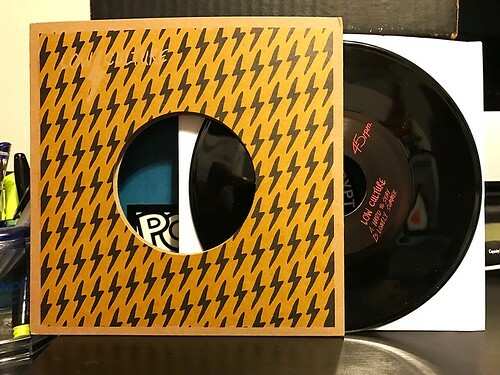 I Buy Way Too Many Records Dot Com: Low Culture - Hard To Stay 7"
A companion piece to yesterday's review of the Places To Hide LP, this is a new 7" from Low Culture on the wonderful La-Ti-Da records. A side "Hard To Stay" is one of the best of the current crop of Low Culture songs. It leans to the power pop side of the spectrum, particularly with the chord progressions and the generally bouncy beat. A real killer song. B side "Lonely Summer" is also on the new LP. It's slightly different from the album version, but not really all that dissimilar. It's just as good of a song as it is on the album, a little slower than the band usually churns out, but still a good time. That's it for the review today. No time for a lengthy outpouring of silly adjectives. Stop reading and go vote.